Add full Apple II compatibility to the Model A Floppy Emu. Also compatible with all classic Macintosh and Lisa computers. 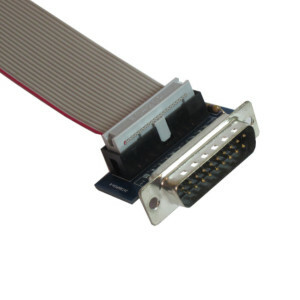 Includes one 3 foot 20-pin ribbon cable. 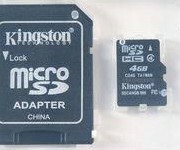 The current hardware version Floppy Emu Model B has built-in Apple II functionality that’s equivalent to the Universal Adapter described here. 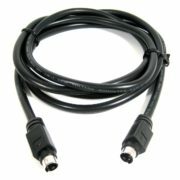 The Universal Adapter is therefore not necessary when using a Floppy Emu Model B. 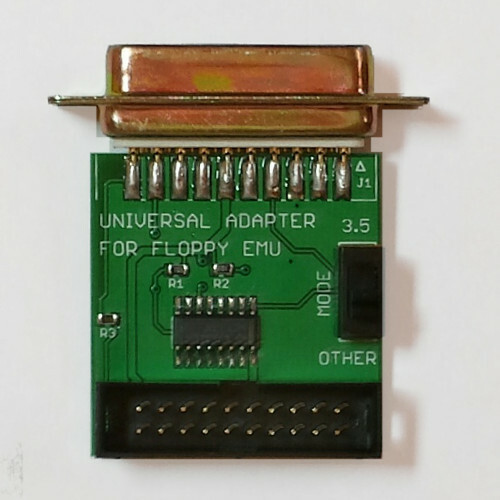 For information on how the Universal Adapter can improve Apple II compatibility with Floppy Emu Model A, read on. 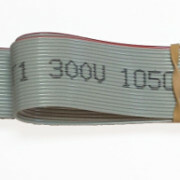 The Universal Adapter also contains a protection resistor to guard against accidental damage when switching between the Floppy Emu firmware for Apple II and the firmware for Mac/Lisa. 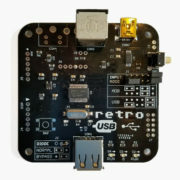 With the Standard Adapter, if a Floppy Emu board running the Apple II firmware is accidentally plugged in to a Mac or Lisa, it could damage the Emu or the computer. To use the Universal Adapter, set its slide switch to the appropriate position, depending on the selected emulation mode of the Floppy Emu. If the Emu is set to 3 1/2 inch floppy disk mode, then set the switch to the “3.5” position. If the Emu is set to any another mode (5 1/4 inch floppy, HD20 hard disk, Smartport hard disk), then set the switch to the “other” position. Setting the switch to the wrong position won’t harm anything, but it may cause disk-related errors. 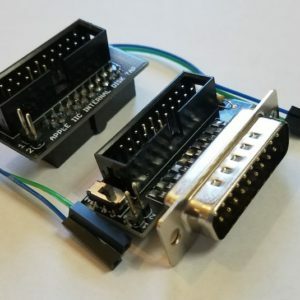 The Universal Adapter is an active device with an on-board IC that helps with Apple II disk connections. Because the Floppy Emu hardware was originally designed for the Macintosh, it can’t handle some Apple II disk signals correctly, so the Universal Adapter does the necessary interface work. Depending on the switch setting, the disk drive enable signal from the computer may be modified before it’s passed on to the Floppy Emu, and some signals will be forced to different voltages. 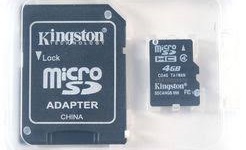 It’s OK to use the Universal Adapter with a Mac or Lisa computer, even though it’s not needed for those systems – that’s why it’s called “universal”. 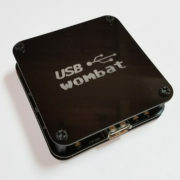 People who use a single Floppy Emu board with both Mac and Apple II computers may find this convenient.